Welcome to Westford Pilates and Yoga! Our goal is to help you to stay active no matter what your ability level. Whether you choose a group class or a private/duo on the Pilates reformer, you will enjoy one of our supportive, highly trained instructors who will work with you to improve your strength, posture & flexibility. Check here for class cancellations. Find balance and achieve a new level of physical, emotional and mental well-being. Mar 26 – May 14, 8-week series, Register NOW for a drop-in! May 28 – Jun 25, 5-week series, Register NOW for series or drop-in! Jun 28 – Aug 2, Fridays at 7:30am, 5-week series, Register NOW for series or drop-in! Learn and practice the movements of Pilates that will bring stability to your body plus improve your posture, strength & flexibility. Register NOW! 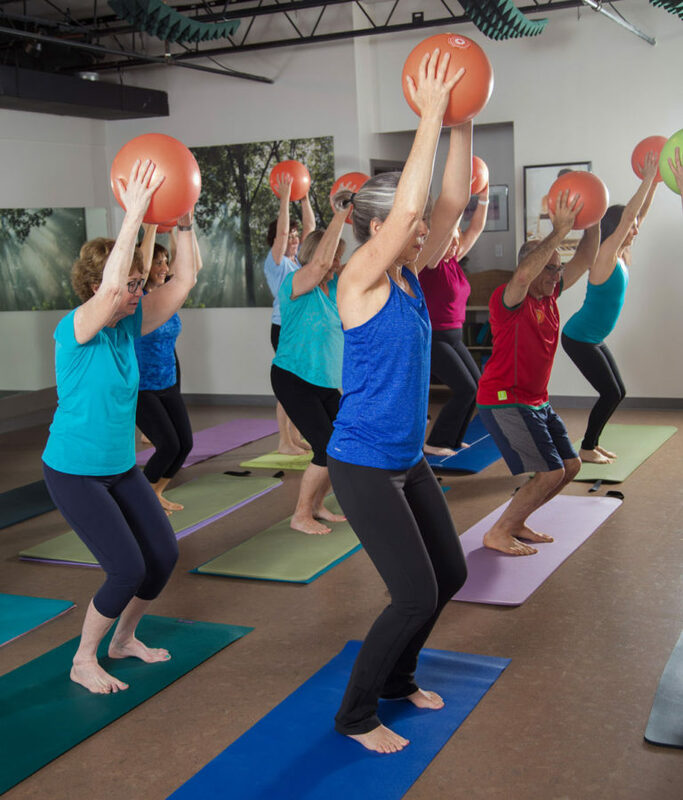 Integrates elements of Pilates, dance & strength training to stretch & strengthen! Build your core with this combination of Pilates plus classic resistance exercises. Tune into your body and breath and experience all the benefits yoga has to offer. Use weights, orange ball, fitness, circle, and flexbands to challenge yourself! Begin your Saturday morning with this combination of good, strong core work and toning using weighted balls, bands and other props interspersed with stretching. Leave feeling accomplished, strong and ready for anything! Register Now!